On Friday night, if you’re in the mood for some scares, a local actor and director Kevin Rothlisberger will be debuting his 30-minute throwback, thriller LOOM at The Hi-Pointe. The screening will take place at midnight and cost just $5 to see. Rothlisberger grew up in St. Louis and Waterloo, Il. He has been an actor since he was 11 years old. LOOM is Rothlisberger’s first venture into directing, not counting the films he made as a kid. Rothlisberger worked as Chris Pratt’s photo double on Jurassic World back in 2014. His wife played Bryce Dallas Howard’s double on the film. Rothlisberger said he was in awe of the technology advancements that were used in the film. Rothlisberger was able to have lunch with some people from Industrial Light and Magic while on the set. LOOM takes place in 1979 on Halloween, as two young lovers, Adam and Shelly are out for a romantic camping trip. Some local boys show up to crash the party only to be terrorized by a beastly transformation. A terrifying game of cat and mouse ensues. The short film pays homage to the fantasy horror genre of the late 1970s and early 1980s. Rothlisberger, the producer, director, and actor in the film, founded Cyclops Entertainment, a Midwest production company dedicated to producing compelling independent films. For Rothlisberger, LOOM has been a project he’s been working on since 2012. He began writing the script, then called American Lore. He came up with the idea after watching the Texas Chainsaw Massacre and Evil Dead. He shelved the script after a show called American Horror Story debuted, feeling like his idea had been taken. It wasn’t until the presidential election of 2016 that Rothlisberger decided to continue working on the project. As Rothlisberger was finishing up his script, another show made its debut on Netflix, a show called Stranger Things. Instead of getting down about a show based on the time period of his film, Rothlisberger decided to strike while the iron was hot. Now that the short film is done, Rothlisberger is hoping to sell it as a series to a network. He said he is ready to go if that happens. 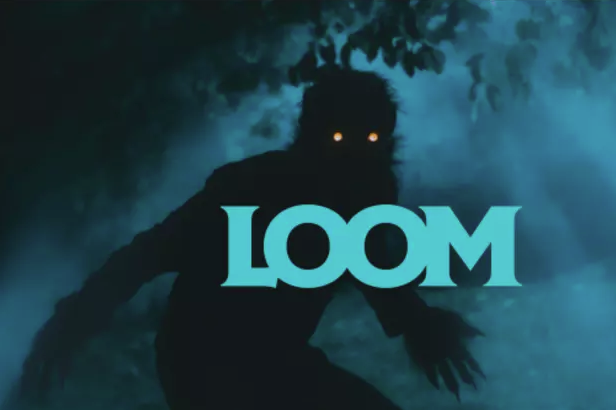 Catch Rothlisberger on Friday night at HI-Pointe Theatre when he has a special screening of LOOM at midnight. Tickets are just $5.